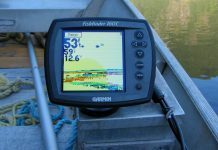 Fish Finder/GPS Combos come with a large variety of charting packages pre-installed. Making the right choice can sometimes be intimidating. Here is a list of some of the more common packages and ther features. 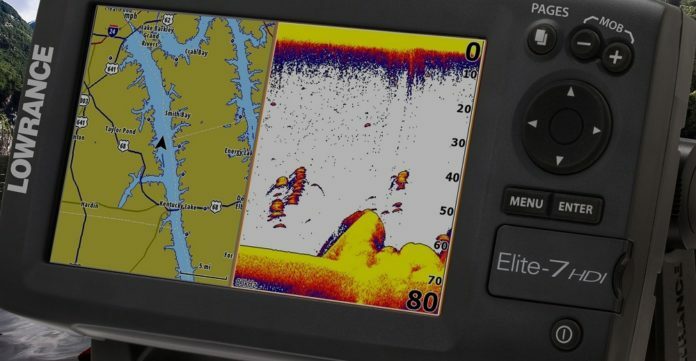 We’ve also got an article on the best fish finder/gps combos, if you want to check that out. A Basemap is Lowrance’s version of a very basic chart(as the name suggests). Basemaps do not have contour data, depth data, or any other extra data such as lighthouses and marine services. Expect to see a big brown/green area for land, and a big blue area for water. You can plot tracks and mark waypoints on a Basemap without any problem, so if that’s all you want your GPS for, this should serve your purpose. These charts have incredibly detailed views of 650 lakes from the Midwest(Texas, Oklahoma, Kansas, Missouri, Illinois, Iowa, North Dakota, South Dakota, Nebraska, Michigan, Minnesota and Wisconsin, plus Lake of the Woods and Rainy Lake), with contour data as small as 3 feet. 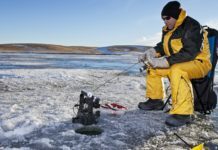 There are also crowdsourced fishing hotspots on certain lakes, as well as contour and relief data for over 5,000 U.S. lakes. Nautic Insight charts are the coastal version of Lake Insight charts. It has detailed coverage of the shoreline, marinas, fishing hotspots, and lake and river data up to 100 miles inland. It also shows tides, currents, and navigation aids. 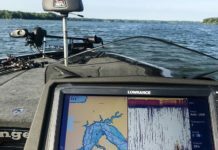 ContourXD charts are Humminbird’s advanced maps. ContourXD charts cover 3,000 U.S. lakes and they show depth contour lines, U.S. lights/markers, and interstate highways. Humminbird ships this mapping package pre-loaded on many of their 1100, 900, 800, and 700 series models. 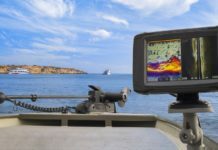 Humminbird’s UniMap covers the continental US Coastline, major lakes and rivers, and shows chart data at a resolution of 30 meters per pixel. 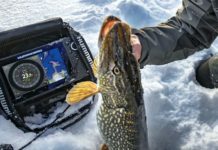 If your fish finder is 5 inches and has a resolution of 640×480, on the whole screen, the most you can zoom will be about 19 km x 14 km or 12 mi by 9 mi. 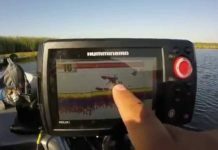 It is a very basic mapping system and as one user put it, it’ll only tell you whether you are in the water or not! The “big daddy of charts”, Navionics gold charts can cover an entire continent, and still be able to zoom in down to 3 meters. They show tides and currents, port plans, depth contours, marine services contact information, and marsh areas. This is Garmin’s answer to Navionics – BlueChart g2 Vision features auto-guidance technology, where you enter a waypoint and the charts will automatically search for the safest and fastest route customized to your boat size. You can also view satellite images of the bigger ports and shorelines, as well as a 3D view of the land and an underwater view as would be seen from the waterline.